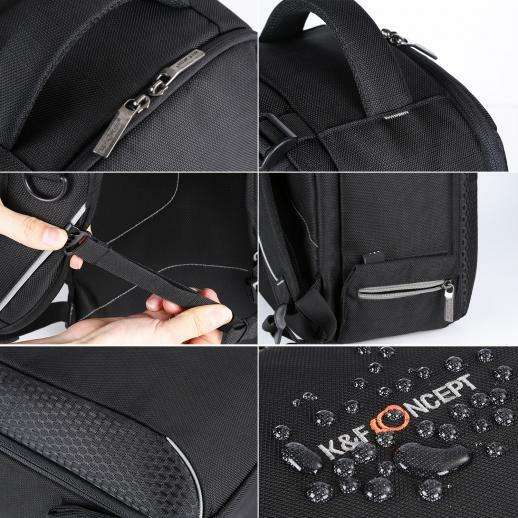 Buy K&F Concept dslr camera outdoor travel backpack 17.1*10.6*7.5 inches online, worldwide free shipping and 30 days return guarantee. 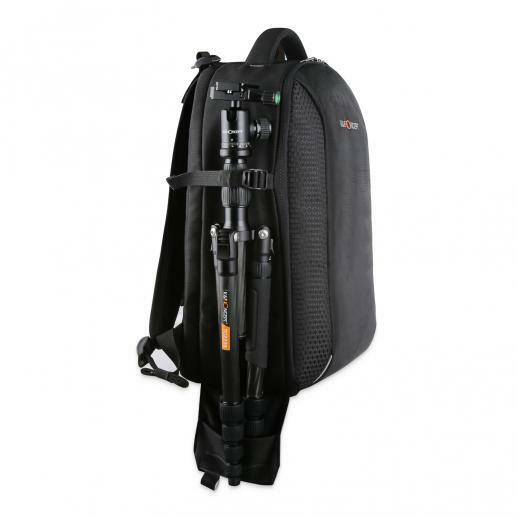 • Large Capacity: This backpack holds a DSLR (include: EOS 5D MarkⅢ, EOS 600D, Nikon D500/D800, Sony A7 RⅡ)with attached standard zoom lens, 1-2 extra lenses or a flash and other photography accessories. 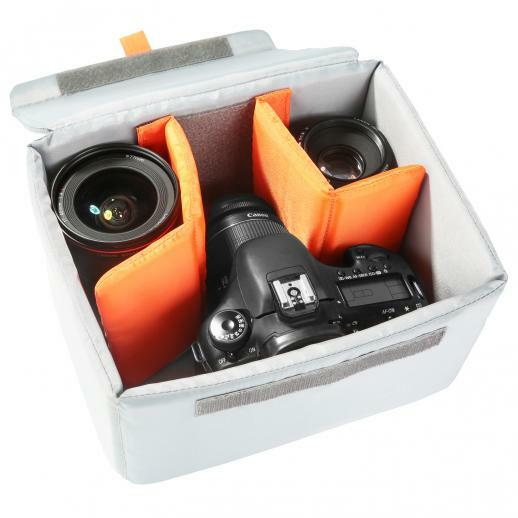 • Quality Material: Splash-proof and tear-resistant nylon material, sturdy and durable; PE board + EPE foam divider,strong and solid, shock relief and decompression. 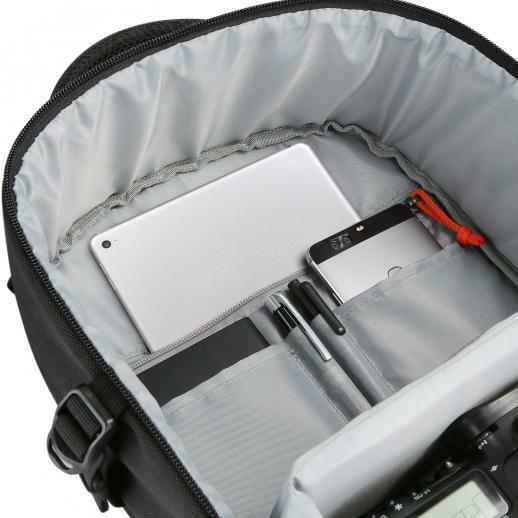 • Space Improvement: Dedicated pockets for carrying laptops up to 14"; The upper compartment can hold clothes; (Exterior Dimension: 10.63"*7.48"*17.13"). 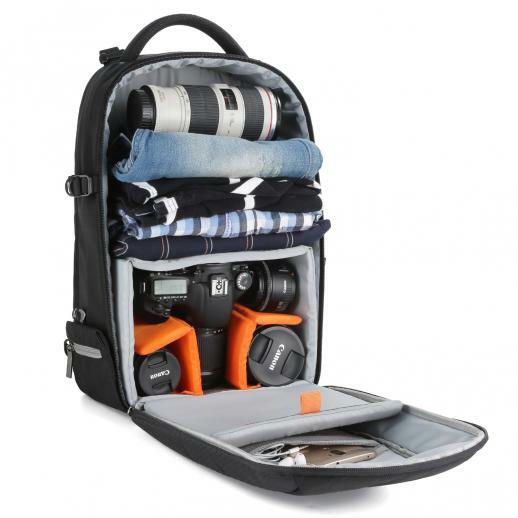 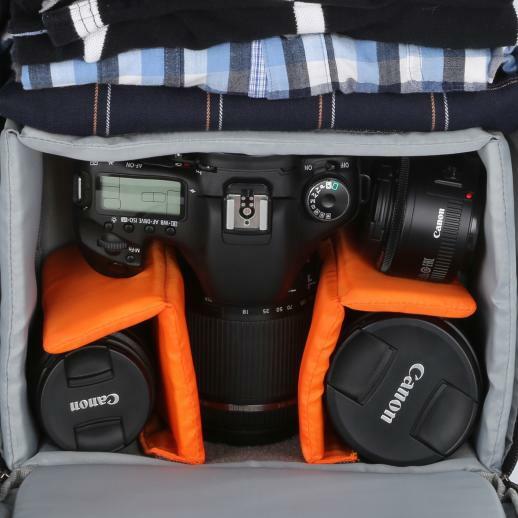 • Multi-Use: Removable camera insert enables the backpack to be a casual bag when taking it out;Side strap and pouch help carry a tripod. 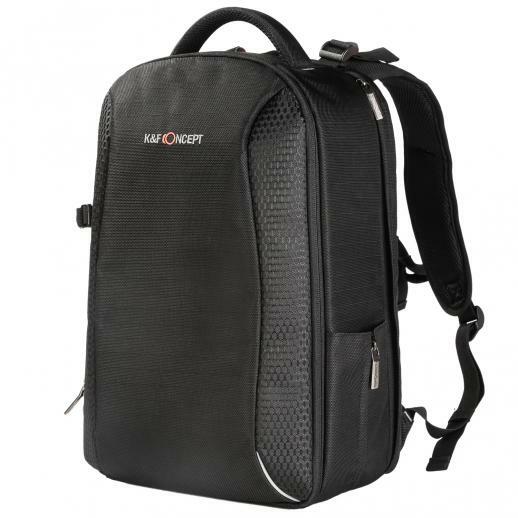 • Easy Travel: Breathable air-mesh widened and thickened shoulder strap and back; Adjustable chest belt keeps the straps tight on you shoulders,reduce weight, easy for long travel.